Don't let the thought of putting pen to paper daunt you. Get started! You may have no choice as to your topic. If this is the case, you still may not be ready to jump to the next step. 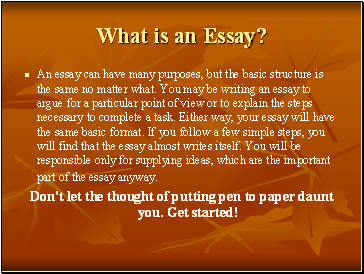 Think about the type of paper you are expected to produce. 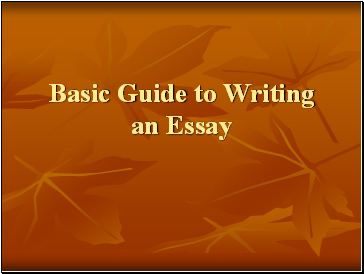 Should it be a general overview, or a specific analysis of the topic? If it should be an overview, then you are probably ready to move to the next step. 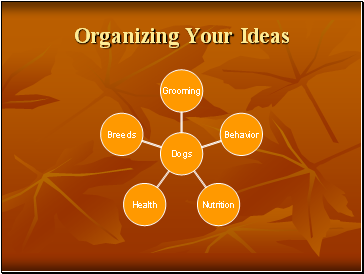 If it should be a specific analysis, make sure your topic is fairly specific. 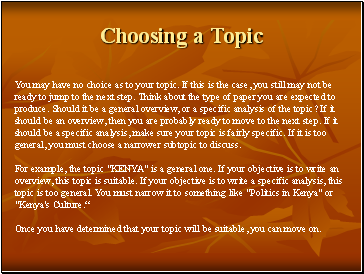 If it is too general, you must choose a narrower subtopic to discuss. 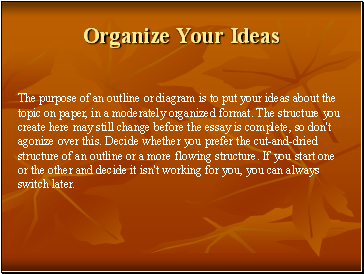 The purpose of an outline or diagram is to put your ideas about the topic on paper, in a moderately organized format. 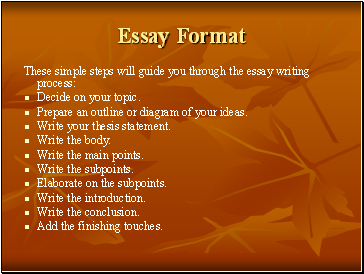 The structure you create here may still change before the essay is complete, so don't agonize over this. 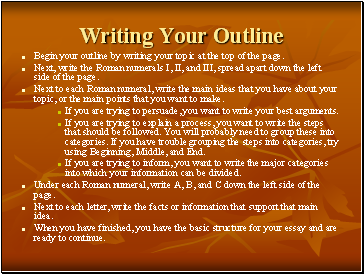 Decide whether you prefer the cut-and-dried structure of an outline or a more flowing structure. If you start one or the other and decide it isn't working for you, you can always switch later.